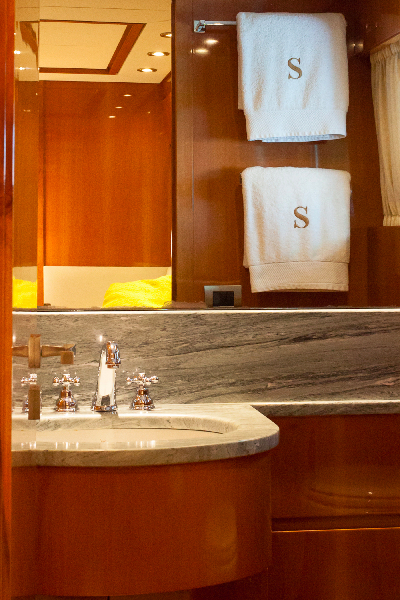 The 79′ San Lorenzo (Italy) motor yacht, SOLAL, launched in 2000, has a saloon with lots of bling! 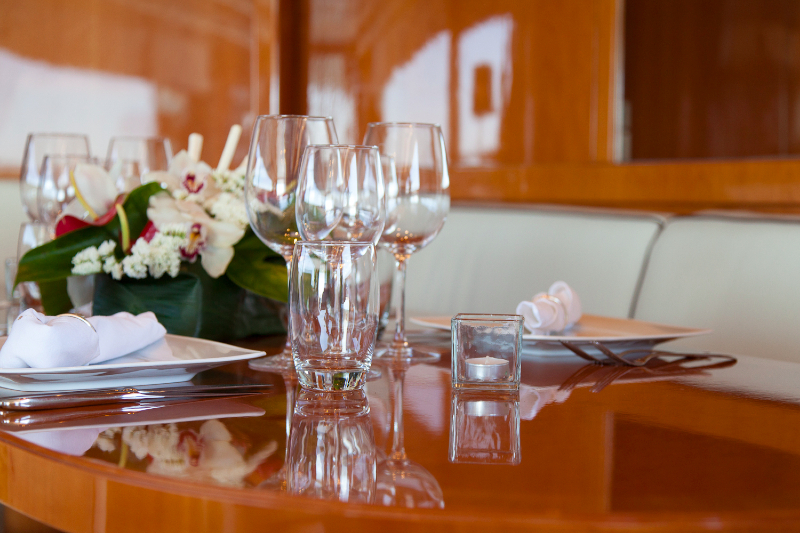 The beautifully set dining table, seating eight, is situated on an angle, and as you look around the saloon you see cast iron candlesticks, fresh flowers, orchids, objects d’art, and spot lighting, accenting her cream colored tweed couches on both sides of the ship surrounding two oval coffee tables. 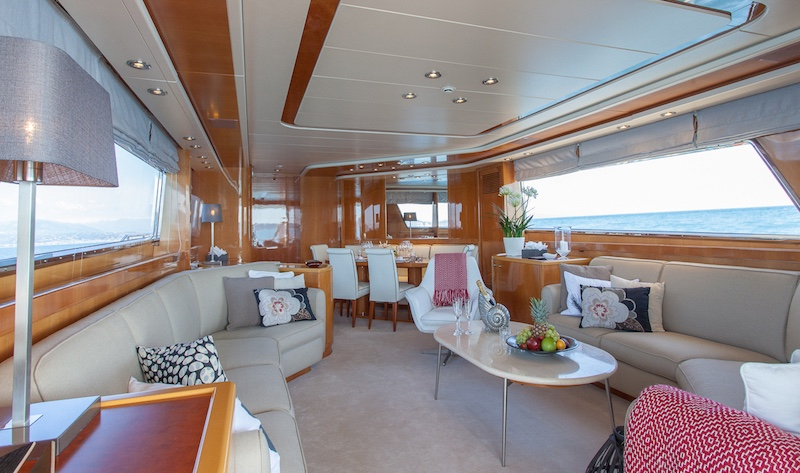 The paneling is high gloss cherry with white ceiling liner and lots of windows. 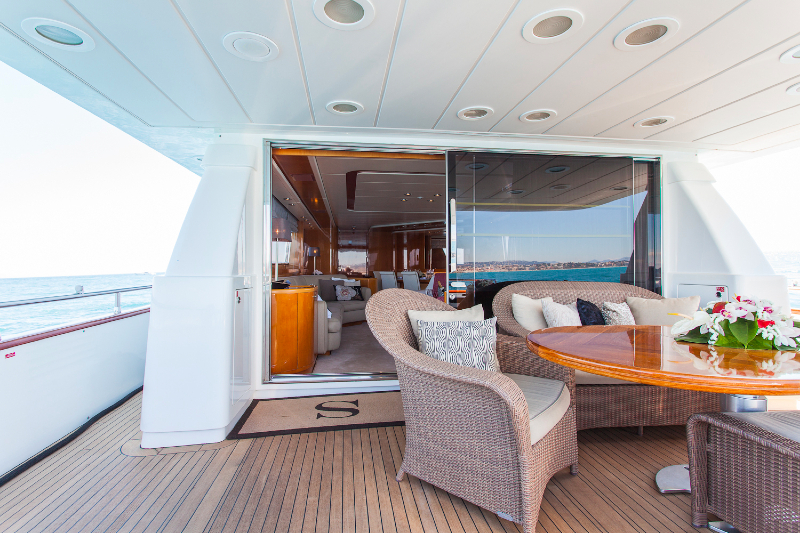 There is no sky lounge, but that means the sun deck is all the larger with alfresco dining under a bimini awning that gives shade. 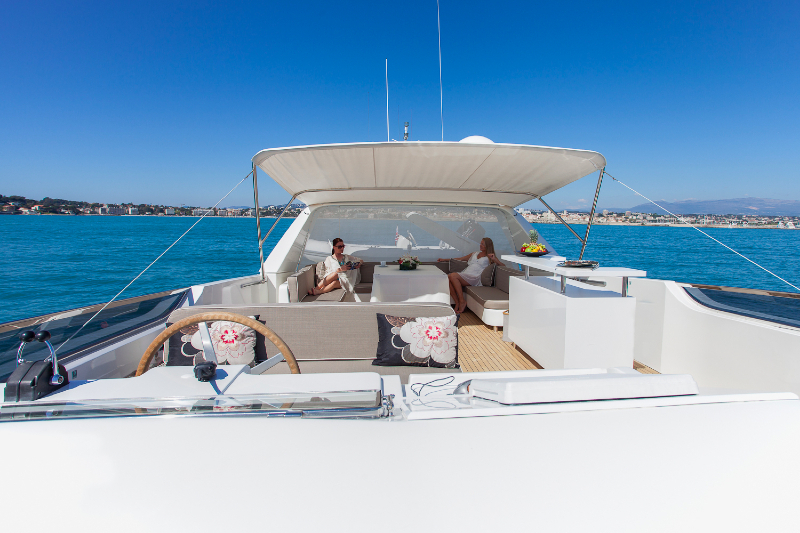 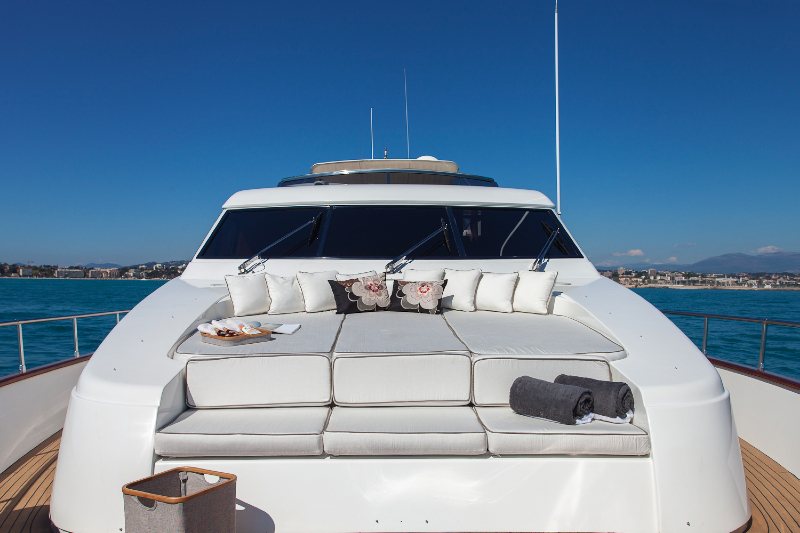 There are sun beds, a bar with stools, ice maker, and the tall, blond, South African captain Tony Kenger in his mid 30s, puts a projector up there for watching movies al fresco at night, or forward on the bow for children if parents want to use the sun deck. 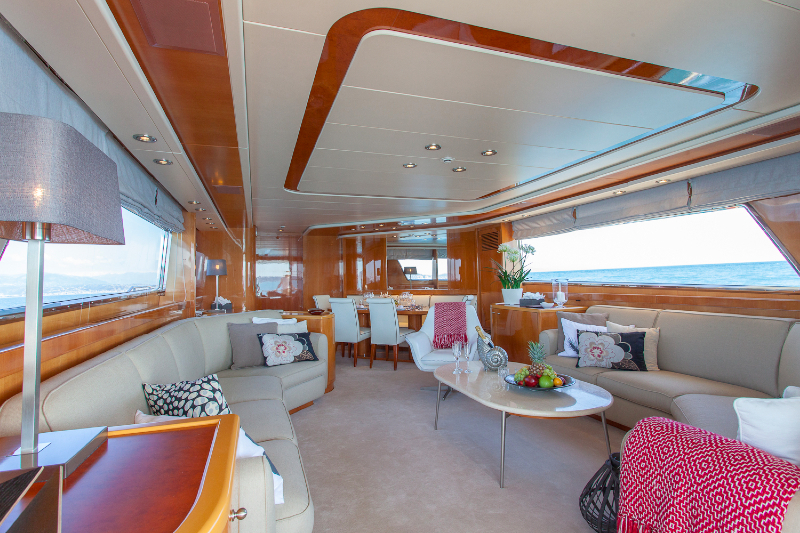 The bow has fitted sunbathing cushions on the coach roof… SOLAL has satellite Apple TV that streams movies, although one of the two twins cabins has just a DVD player…. 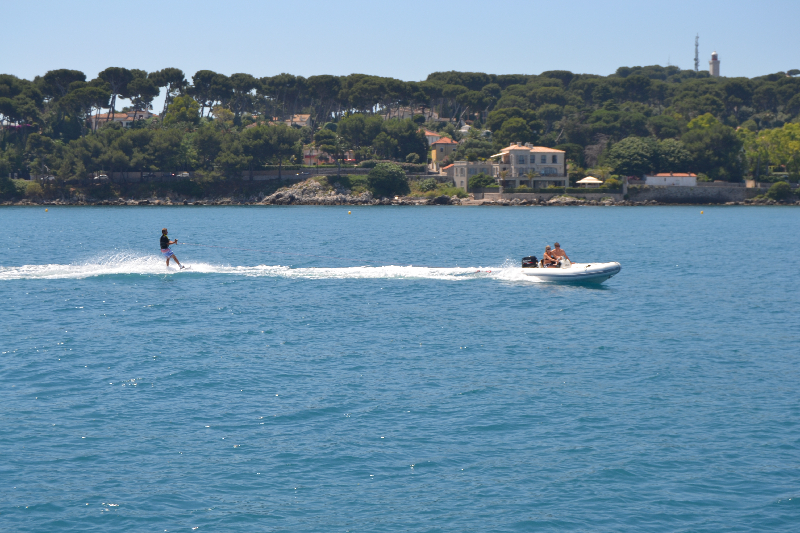 The other has an Apple TV…. 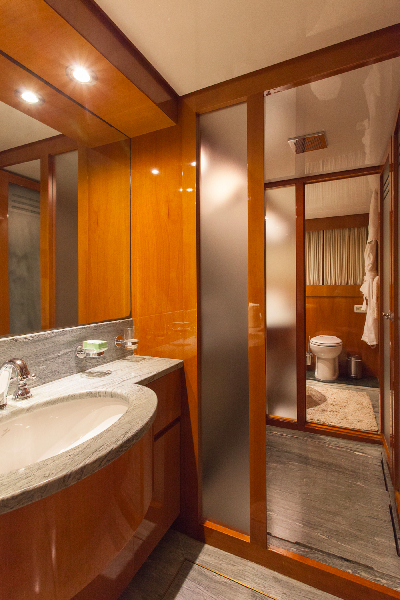 Four guest cabins are located on the accommodation deck below. 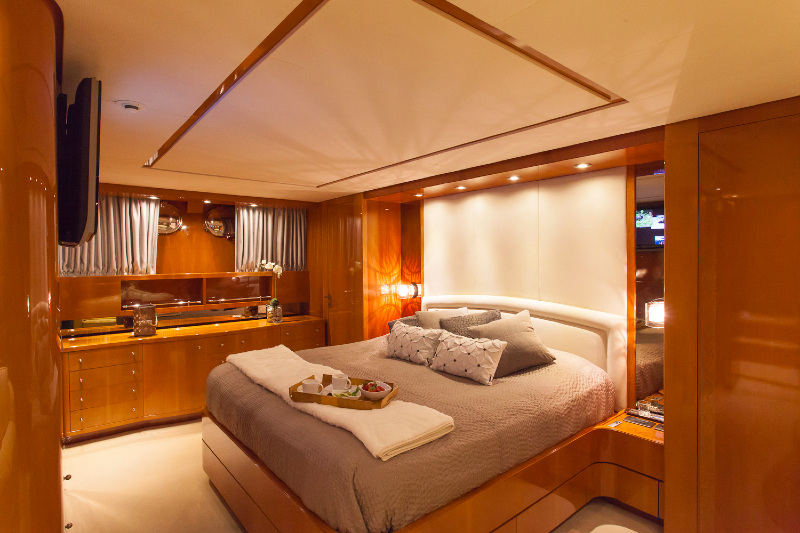 The full beam master has his and her bathrooms, satellite TV in English, and Apple TV, plus LED spot lighting. 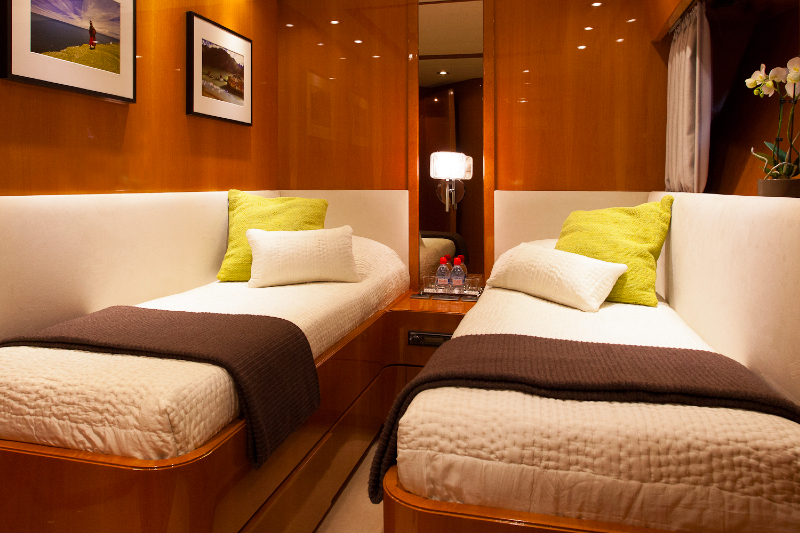 The smaller, full beam VIP cabin has a double bed that is the same size as the master cabin, and there is a DVD player and Apple TV but no sky TV. 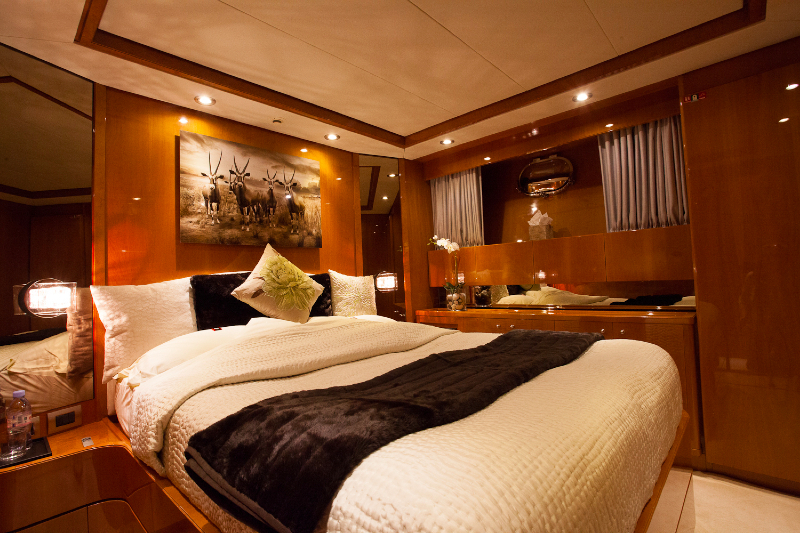 The two twin cabins are small but the beds are on opposite sides of the cabin (they are not bunk beds) and they are beautiful with color coordinated bedspreads, gorgeous linens, throw cushions and chocolates on the pillows. 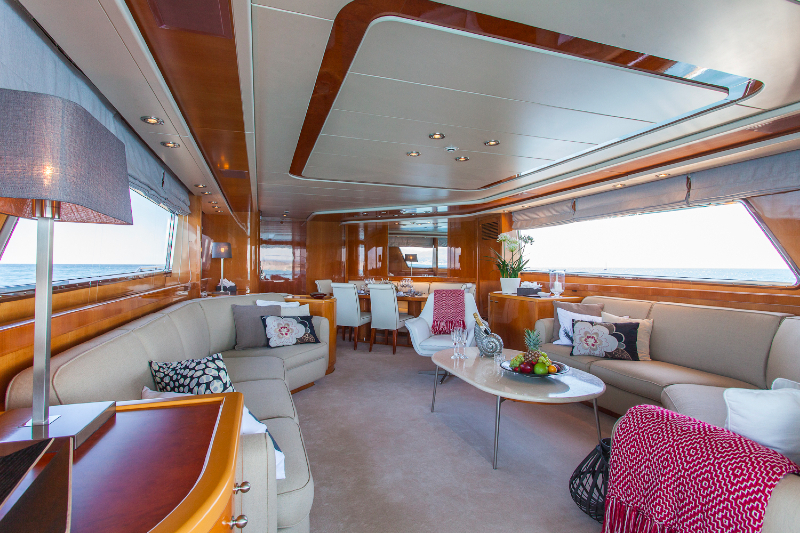 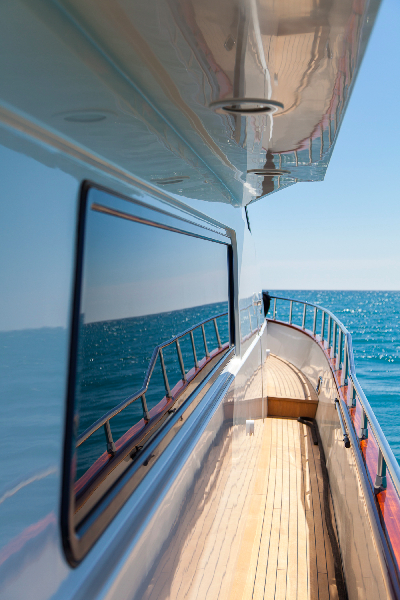 There’s a terrific sound system throughout the yacht…. 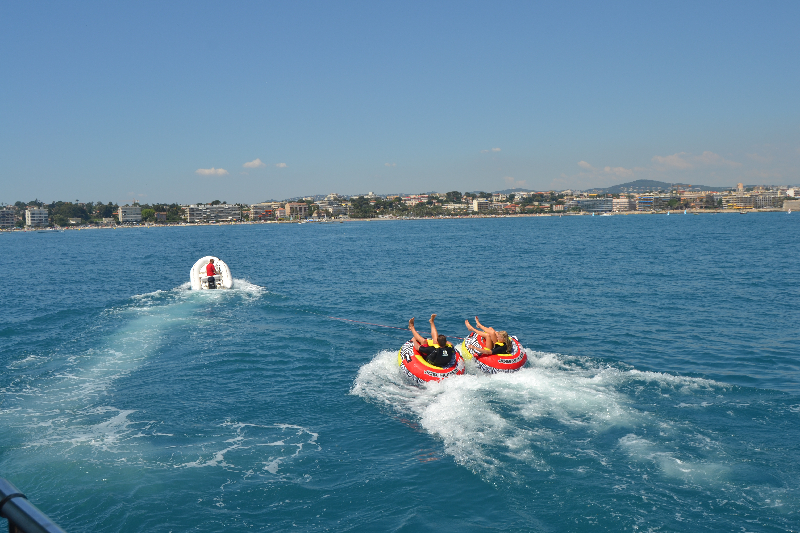 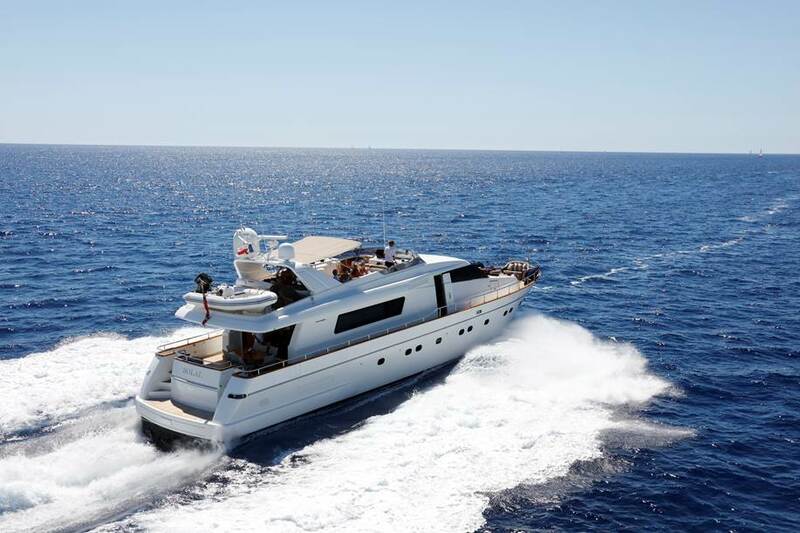 The vessel has a cruising speed of 18 knots, consuming 350 liters of fuel per hour…. 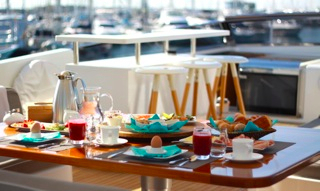 There are three dining options: the sun deck upstairs seats ten to twelve at table comfortably, while the saloon and aft deck tables each seat eight. 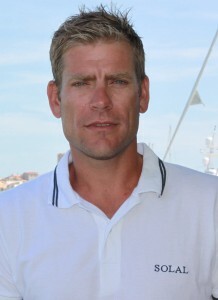 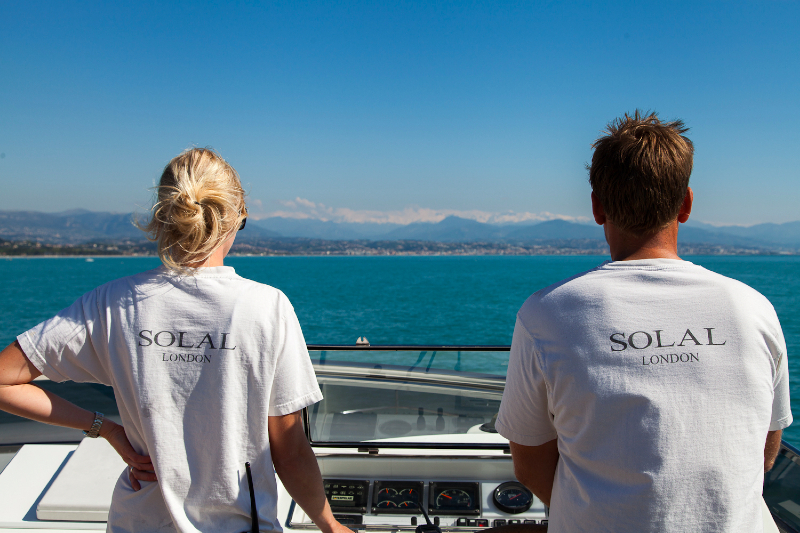 SOLAL operates with three crew…. 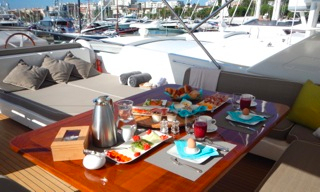 they include Lisa, the stewardess, plus deck hand, who is the captain’s mate, plus chef Ben from Amsterdam…. 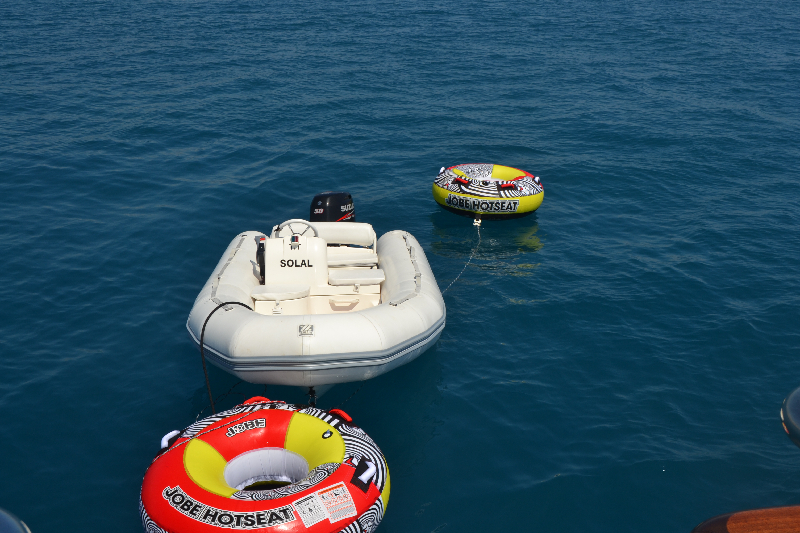 They work as a team, so all the jobs get done. 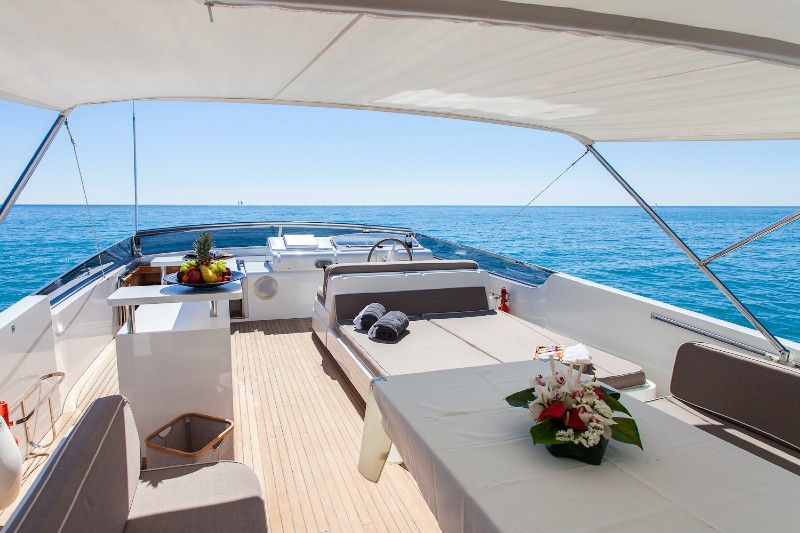 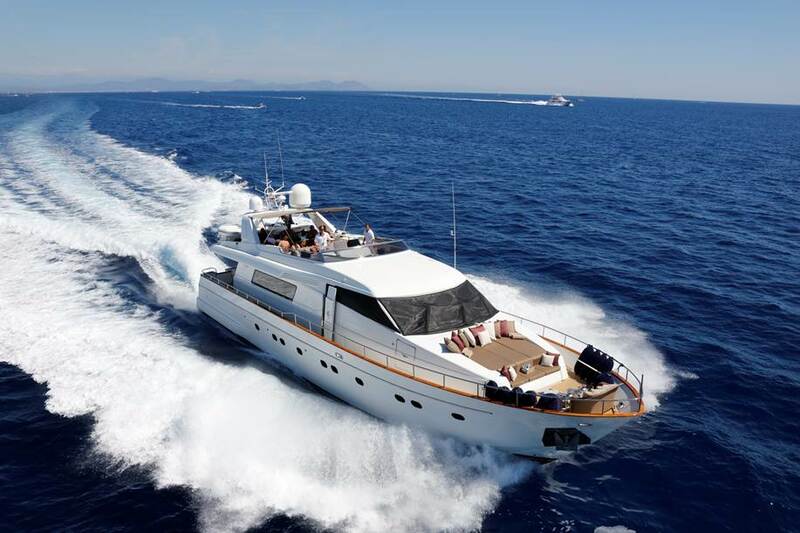 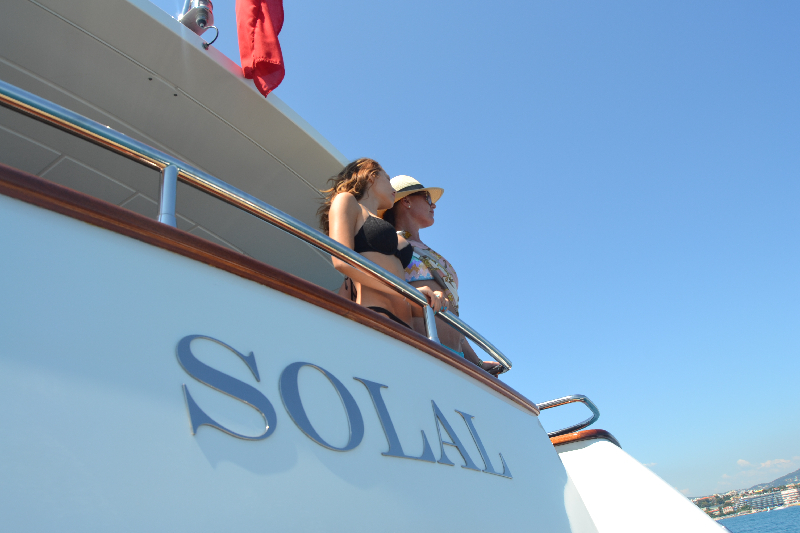 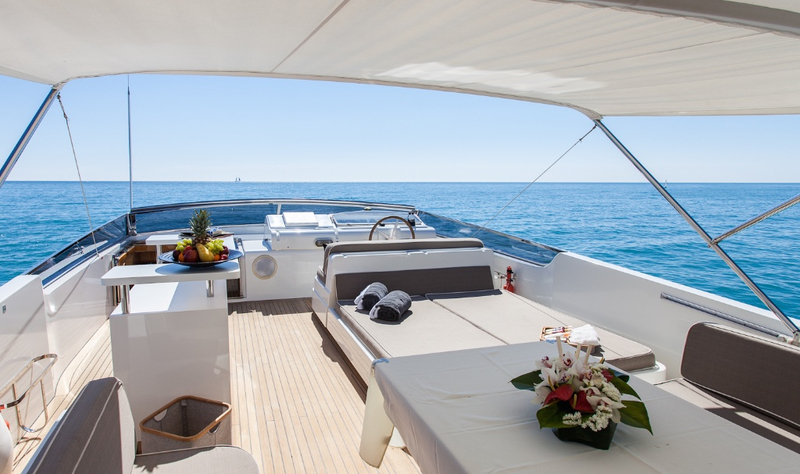 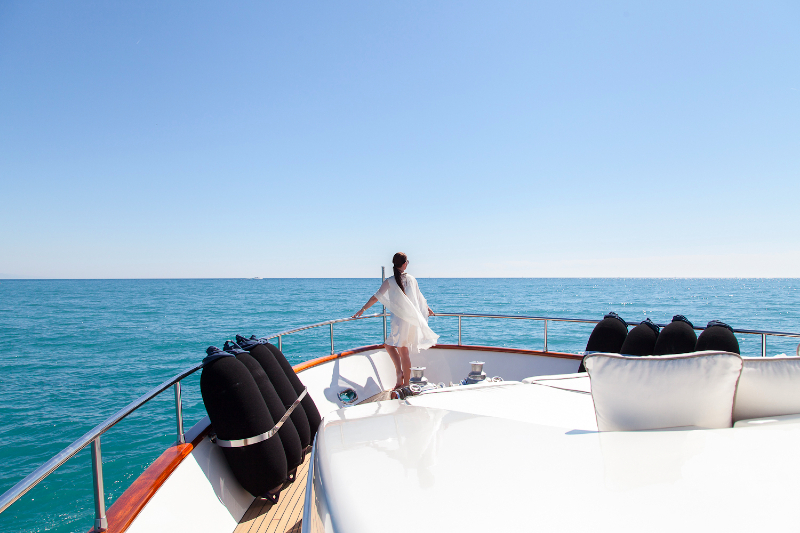 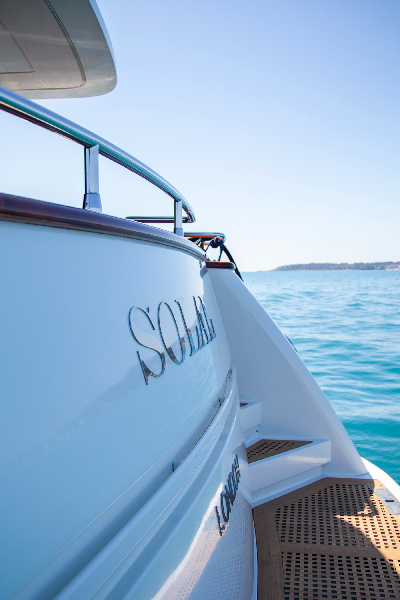 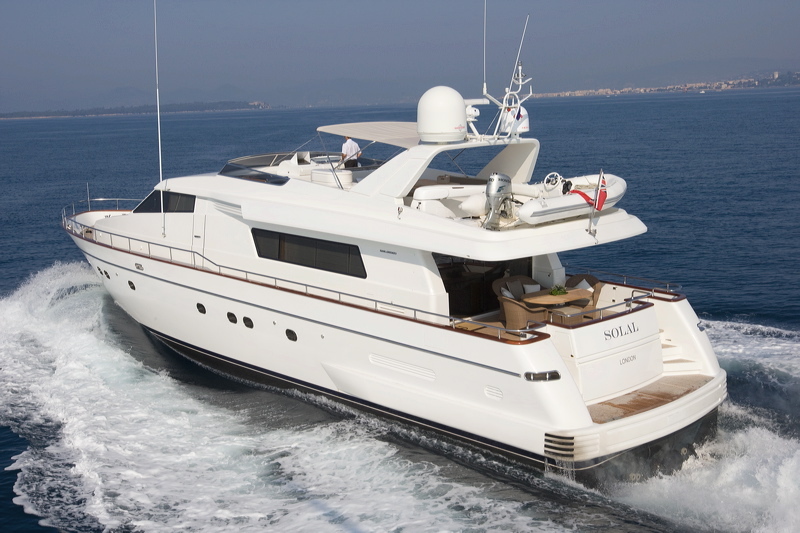 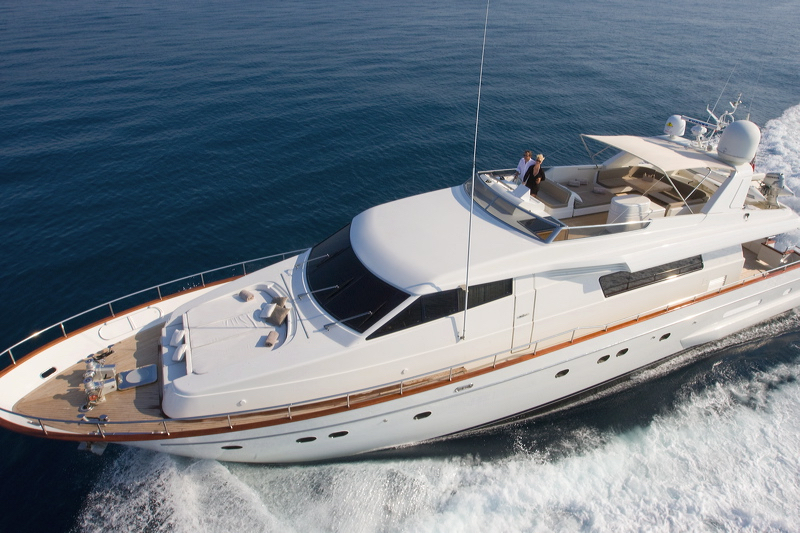 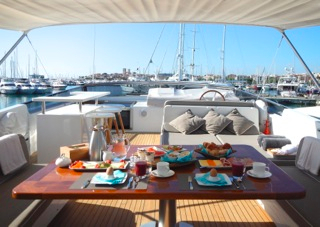 SOLAL is available for charter from Antibes, France for 27,000 Euros per week plus 30% APA & 10% VAT. 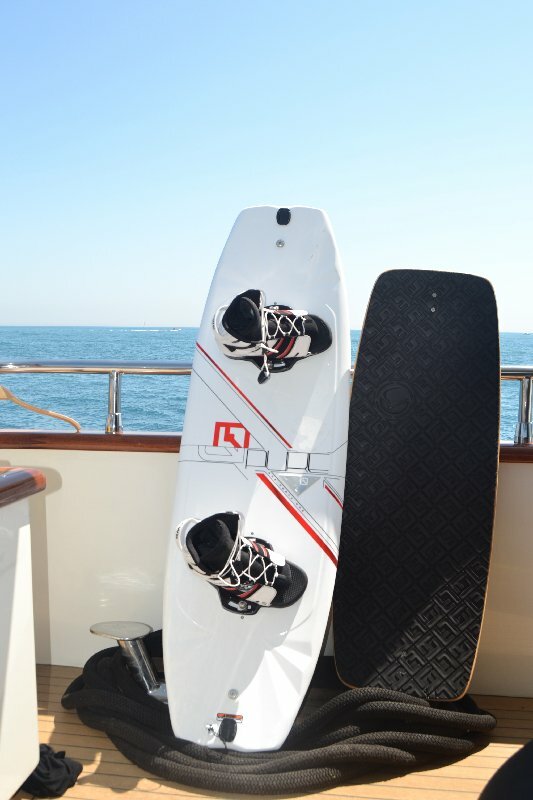 Tender, water skis, Jobe Water Disc, 2 Canoes, two doughnuts, wake board, wake skate.